Media Impact Fund (MIF) have released a new report which highlights data, trends and pressing issues facing the field—and what funders can do moving forward. ‘Global Media Philanthropy: What Funders Need to Know About Data, Trends and Pressing Issues Facing the Field‘, draws on research data from MIF media grants data map, results from a survey of leading organisations engaged in funding media-related projects around the world, analyses of existing literature, and insights offered by experts across a range of media funding issues. 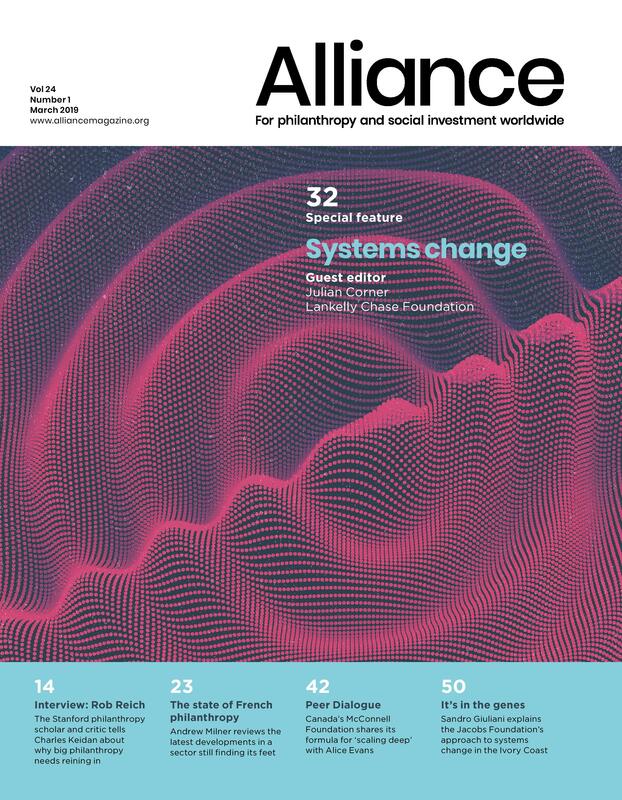 Alliance magazine editor, Charles Keidan, was one of the contributing experts who highlighted the importance of philanthropic support for philanthropy-focused media outlets in order to hold philanthropic power accountable, and highlight the tremendous work taking place across the sector. The report was produced with support from the Bill & Melinda Gates Foundation and written by Sarah Armour-Jones and Jessica Clark, consultants to Media Impact Funders.